River2sea's Whopper Plopper 190, designed by the legendary angler Larry Dahlberg, is his secret weapon for musky fishing. Weighing in at over 2 oz you can cast it a mile and it's got top quality River2sea 5 ?. This smaller version is made tough to battle bigger foes. Clothing & Footwear. Fishing Line. John B Outdoors looks forward to serving you. What happens after I have paid for my item?. We are located in Stuart Florida. River2Sea Double Plopper 148 Length: 5 3/4" Weight: 5/8oz If you like the original Whopper Plopper you will love the new Double Plopper! Just imagine a lure with not one, but two counter rotating plopper blades to create twice the magic plopper sound! River2Sea Whopper Plopper 110 Topwater Bait. Whopper Plopper 75 Silent 3" 3/5oz Topwater #4. 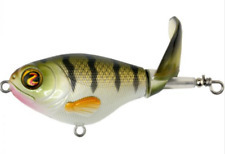 Whopper Plopper 90 Silent 3-1/2" 3/8oz Topwater #4. 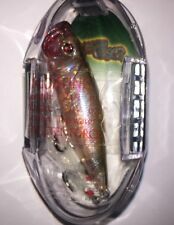 Whopper Plopper 110 Silent 4-3/8" 1oz Topwater #2. Whopper Plopper 130 Silent 5" 1-3/8oz Topwater #2. River2Sea Whopper Plopper 75 Topwater Bait. Blue Blood. Hook R2S #4 BN. This smaller version is made tough to battle bigger foes. Check-Out Now! John B Outdoors looks forward to serving you. What happens after I have paid for my item?. We are located in Stuart Florida. This smaller version is made tough to battle bigger foes. John B Outdoors looks forward to serving you. Check-Out Now! What happens after I have paid for my item?. We are located in Stuart Florida. Condition is New. All of our antiques or collectibles will, hopefully, be exactly what you were looking for. Every item is hand picked and selected by our staff. River2Sea DP148/08 double Plopper. 148, Blue blood, 5/8 oz., 5 3/4in. River2Sea big Bite (bn) 2x strong #5/0, floating.